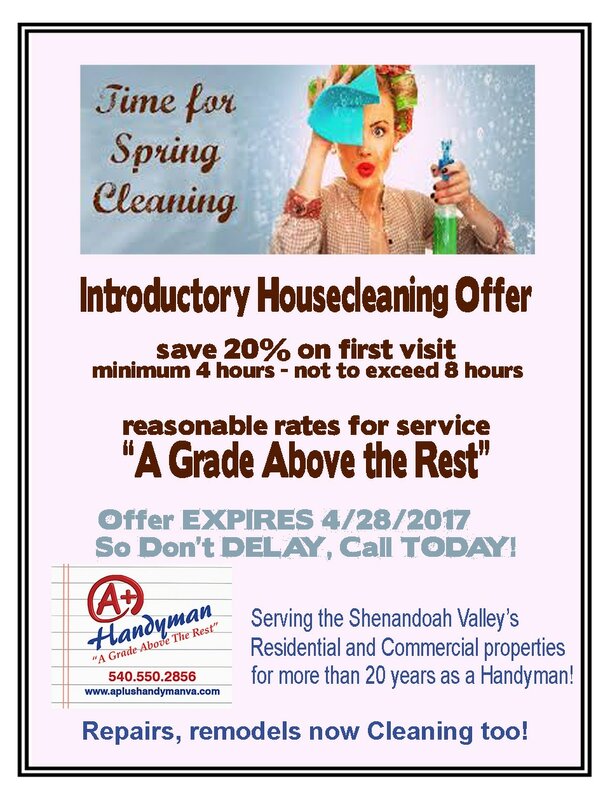 House Cleaning Winchester VA - Locally Owned and Operated, NOT a franchise! A Plus House Cleaning - a division of A Plus Handyman, Inc.
Sign up for our monthly newsletters... tips, hacks, preventative maintenance, savings and more! Customers first. Teamwork makes the Dream work. Service a grade above the rest!